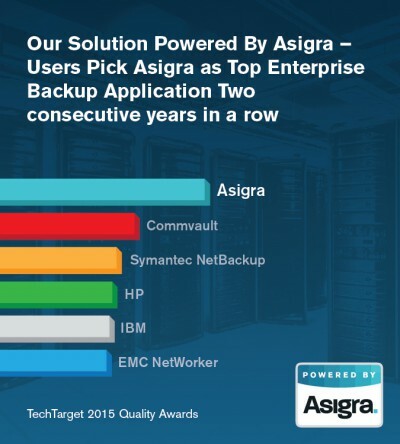 Asigra was founded with a vision to create the best backup and recovery service platform in the industry. 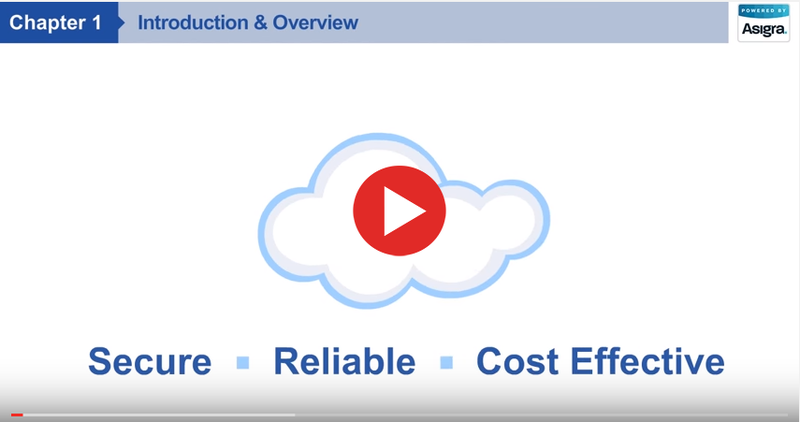 Selecting a cloud backup, recovery and restore platform is a major decision, but it doesn’t have to be a difficult one. 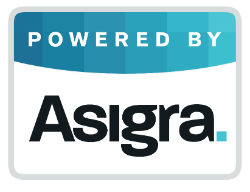 The innovative technology of Asigra Cloud Backup now powers over 1 million sites worldwide. That success is due entirely to 29 years of building a global ecosystem of strong partner relationships with progressive managed service providers and resellers, and it has made them one of the most financially stable investments you can make in the business. Here are seven reasons why Asigra is an industry leader. The Asigra Cloud Backup platform does not install agents for each machine or application that needs to be protected. Instead, its unique agentless architecture reaches out over the network to backup operating systems, file systems, and applications, using industry standard programming interfaces. This eliminates a major security risk because it does not require an open port, and it also makes Asigra Cloud Backup a less resource-intensive and disruptive platform that is more flexible to deploy and easier to support. Due to the multi-tenanted nature of the cloud environment, security becomes of paramount concern for anyone trying to utilise the cloud for backing up and recovering their data. Asigra ensures that your backup data does not cause privacy breaches. Asigra Cloud Backup uses state-of-the-art encryption to safeguard customer data at all times, and is the only cloud backup and recovery software platform with NIST approved FIPS 140-2 certification, meeting the most stringent compliance requirements of healthcare and government. Asigra have experienced zero breaches or compromised systems in the last 29 years of operation, and there are over 1 million end customer sites currently protected by Asigra technology.